Browse » Home » Miscellaneous » The Fairy Hobmother visited Frugal Follies! The Fairy Hobmother visited Frugal Follies! Thanks to the Fairy Hobmother and his fairy overlords at Appliances Online for sponsoring this post! A few days ago, Frugal Follies had a magical visitor - the Fairy Hobmother stopped by! 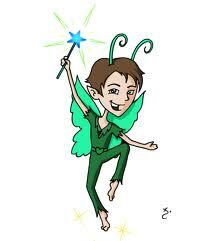 The Fairy Hobmother's mission is to spread light and joy across the blogosphere. He stops by blogs and rewards those he likes with Amazon gift codes or other gifts! I'm very happy to hear that he stopped by Frugal Follies and liked my work. It's always nice to get great feedback! Bloggers - want the Fairy Hobmother to visit your blog? 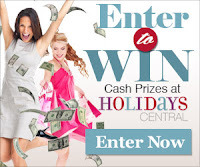 Leave a comment below with your name and a link to your blog, and he just might! I'm ready for a visit to http://Mom-Spot.com!! Thanks for sharing. Fairy Hobmother, come sprinkle your dust at The Median Mommy (Lauren @ TheMedianMommy.com)! Awesome!! Congrats on the visit! The fairy hobmother visited me too! So fun! Would love to have the Fairy Hobmother visit Budgetearth.com! Congrats! He is so awesome and generous! Here's to hoping for a visit soon! Come visit me Fairy Hobmother! Alaina Bullock of http://www.bullocksbuzz.com! I would love to have a visit from the Fairy Hobmother!!! Lucky you :) Congrats!!! Congratulations on your Fairy Hob Mother visit; with just a touch of fairy dust!